Looking back, it now appears evident that at some point during 1981 the two main men in OMD (Andy McCluskey and Paul Humphreys) decided they would perhaps like to make a bit of money out of this rock’n’roll business. Nothing wrong with that, of course. They would, like the rest of us I suppose, have had mortgages to pay…and everyone likes to stay in decent hotels from time to time. And, as much as I am sure it pained them to admit, they were just never going to get rich with their dark, krautrock-influenced musings. Thus did it come to pass that OMD became a pop group. 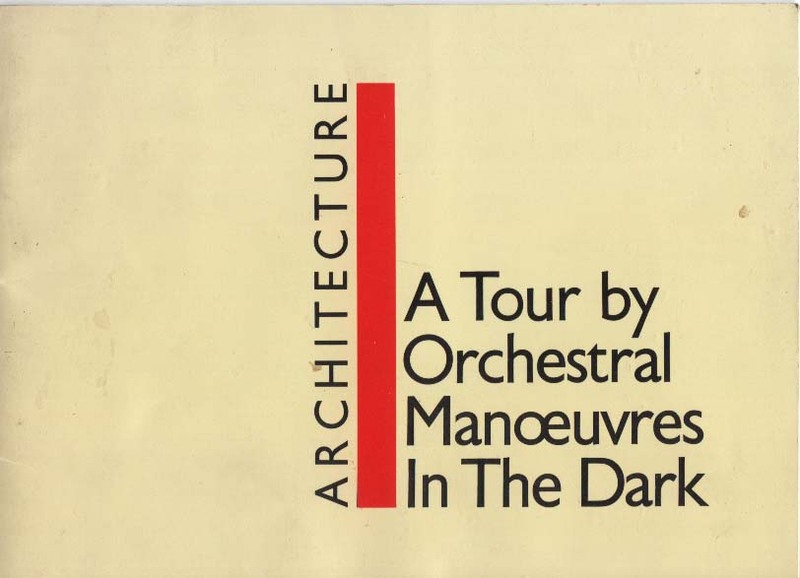 And rather successful they were at it, one has to admit, with their third album (Architecture & Morality) yielding up three hit singles: Souvenir, Joan of Arc and Maid of Orleans. All were artfully crafted pieces of pop; readily accessible with mass appeal, all becoming top 5 hits. Unfortunately there was (certainly in the case of the first two) little real substance to the songs, and they have not really worn well with time. Although, one could argue, this is how it should be with all pop music. The same criticism may be levelled at the associated album, as songs fly past - The New Stone Age, Georgia, Beginning and The End – each providing instant gratification, but somehow little lasting satisfaction. Listening to the collection recently, I find only Sealand, and the wistful She’s Leaving provides any hint at past glories. That being said the album was still fresh and unfamiliar at the time of this concert, and although the new songs lent a lighter, less intense feel to proceedings, the gig was no less enjoyable for all that. The support act for the evening was Random Hold, whom I has witnessed supporting Peter Gabriel a couple of years earlier. Although leading light David Rhodes had since moved on, and I don’t think this particular incarnation lasted much beyond this tour. 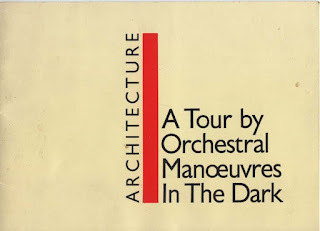 There was a distinctly low key opening to OMD’s set, before the synth intro to Pretending to See the Future led proceedings into a clutch of more familiar songs from the debut album. The band’s drift to a more commercial sound was reflected in the relative dearth of songs from Organisation. Enola Gay was there, of course, but only a couple of other tracks survived into the main set, although the hulking majesty of Stanlow did close the evening’s proceedings. The other encore was Julia's Song, during which Martin Cooper took over bass guitar duties to allow McCluskey free reign to indulge in his bizarre form of dance, of which St Vitus would have been proud. 1983 saw the band release the Dazzle Ships album, a seemingly wilfully odd juxtaposition of conventional pop songs alternating with rather more experimental pieces; the result of which succeeded in alienating both their new and old fans. I certainly lost interest in the band at this pojnt; a decision I felt justified by the increasingly fatuous nature of their single releases – was Locomotion really produced by the same band who had recorded Statues? I can't imagine how this ever came to be. However, I was happy to be left with the legacy of their first two extraordinary albums alongside the memories of two unforgettable gigs. Thanks, Lads. I saw them in against all odds and I have never quit trying to find out info on them. Was the best show and should have been put out there bigtime.